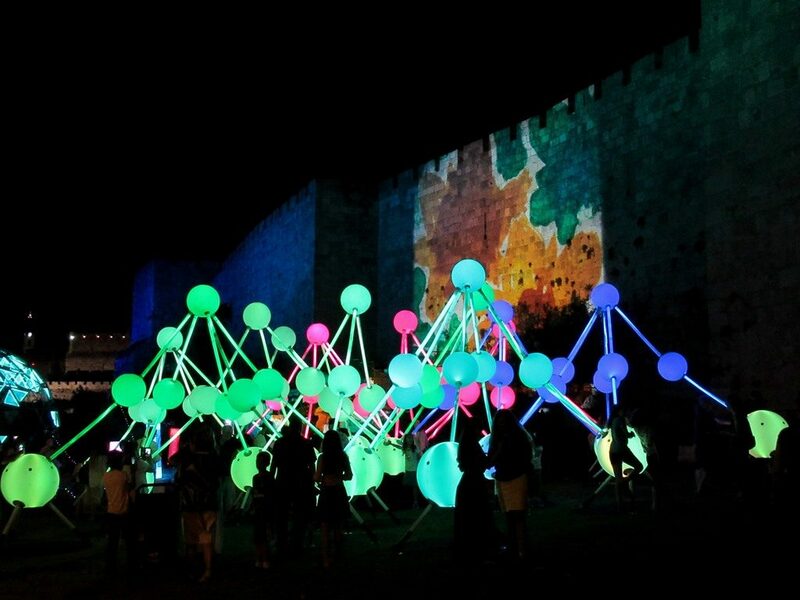 The tenth annual Jerusalem Light Festival is taking place this week at night in the Old City. 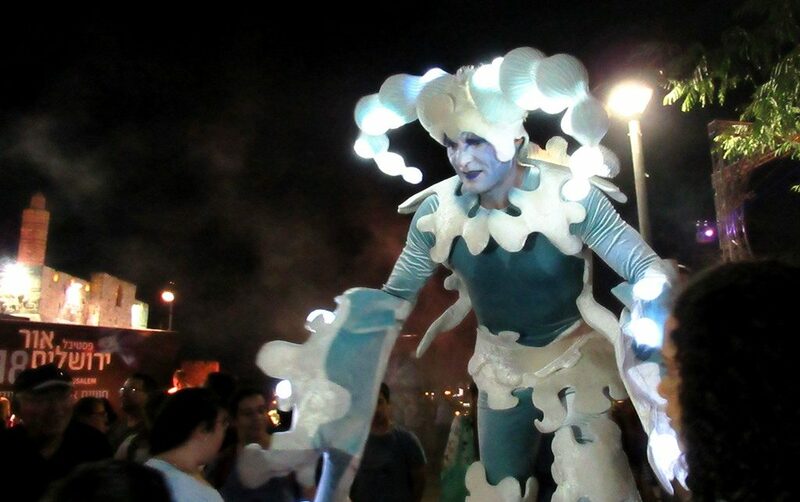 The streets are closed from 8- 11:00 pm, to accommodate the tens of thousands of visitors. Colorful international light installations are once again a popular attraction. Near Jaffa Gate sayings about light are projected on the wall. The sayings are repeated in Hebrew, English and Arabic. People in costumes entertain the crowd. Not just light on walls, but on wings as well. 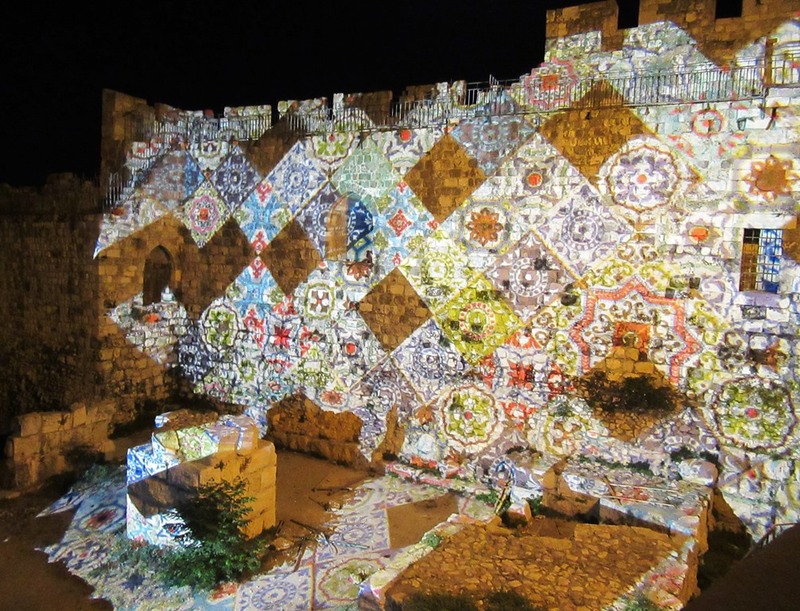 As one walks around the Old City, the projections appear. Thousands of photographers try to take a photo from an interesting angle in the dark. 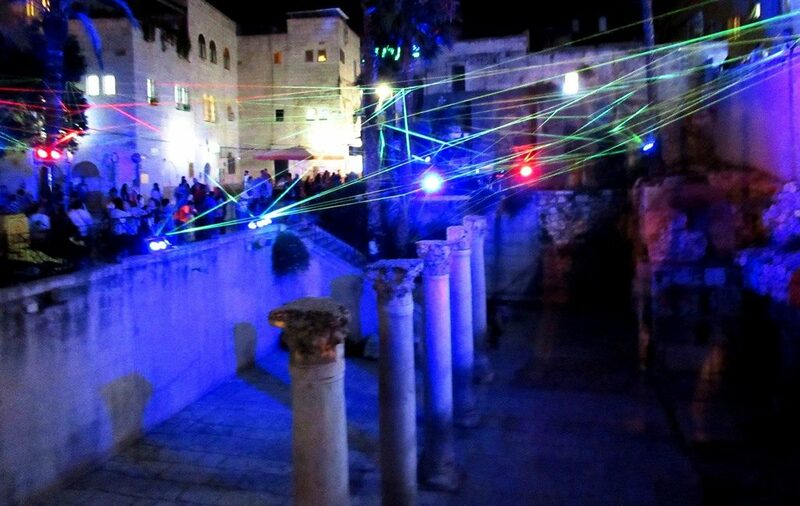 Crowds pass the colorful spider web of lights over the ancient Cardo. 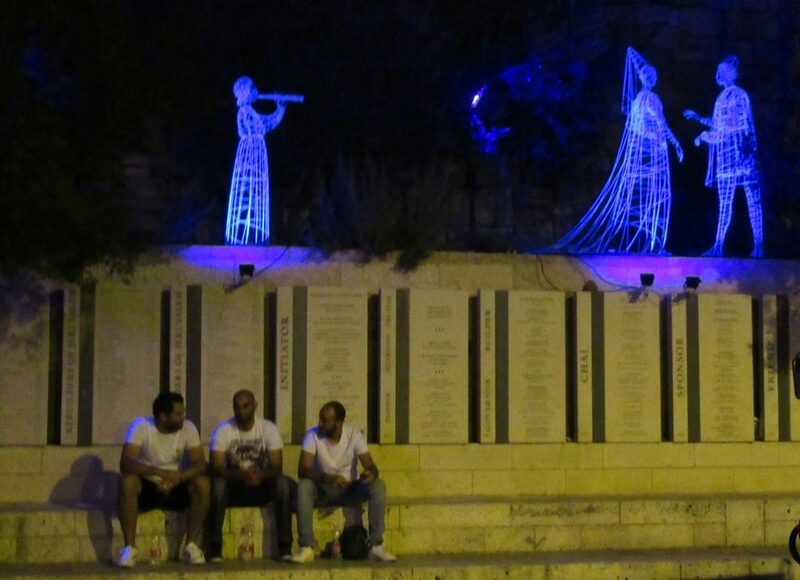 Three men took time out for a rest under the light sculptures named Ghostly Guests. 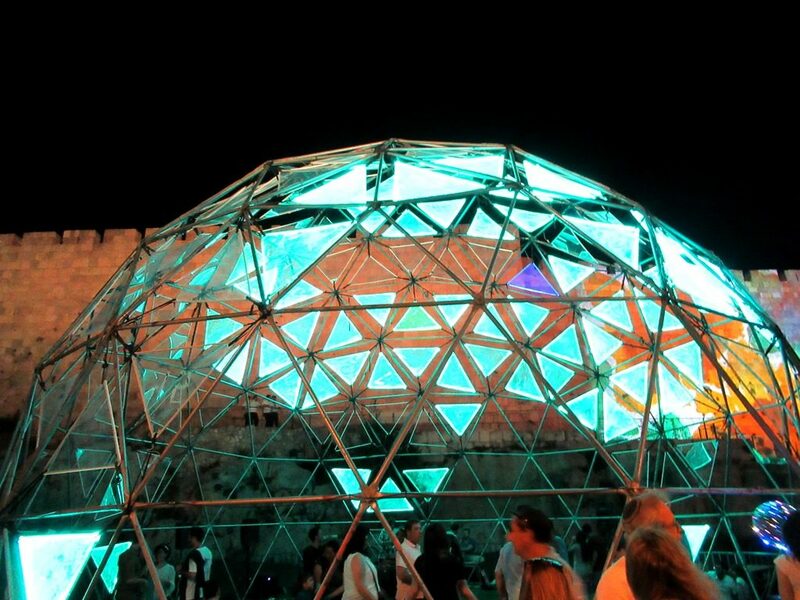 However, nearby people were dancing the night away under this dome. The light and music video projections were highlights this year. 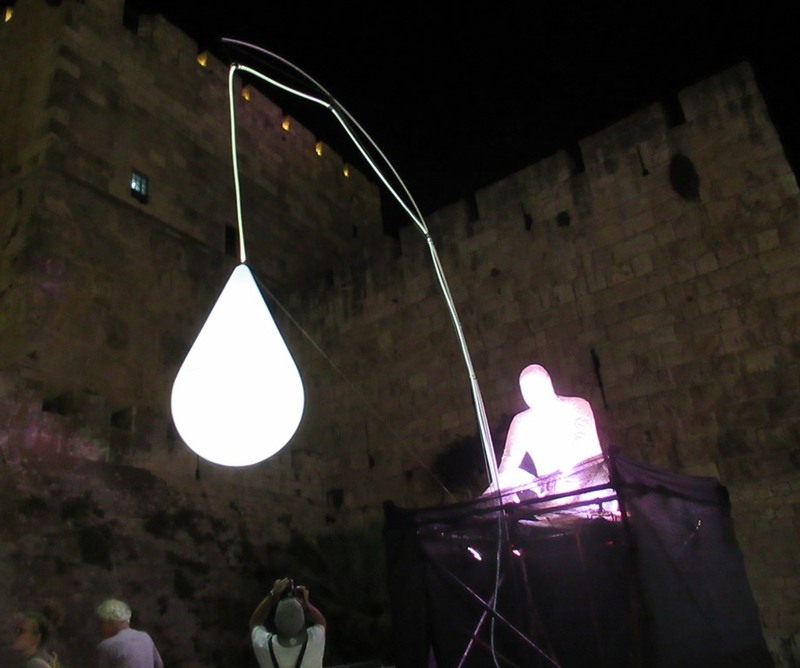 The light and music projection outside of Jaffa Gate required a video. 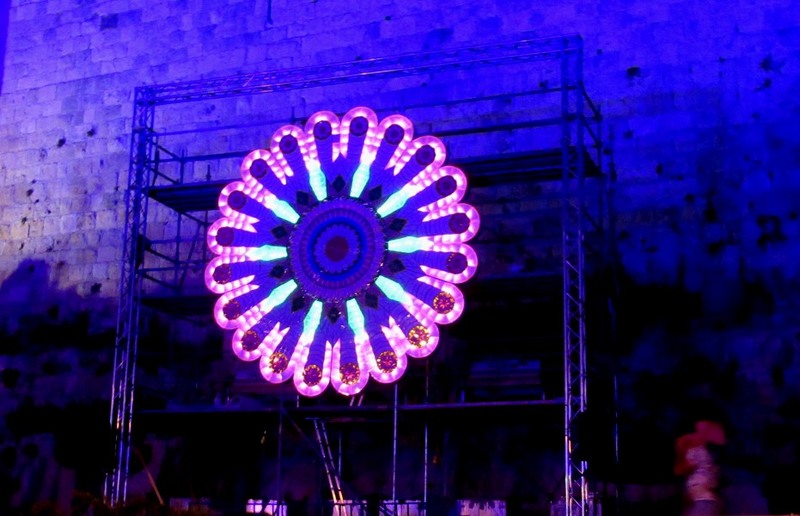 The light show inside Jaffa Gate was shorter, but the colors against the old stones always impressive. One of the most popular light installations was on the Hurva Synagogue. I hope to find someone to go with. It’s not as much fun alone. I usually do go alone to photograph at my pace and interests, but this time ran into friends at end which was really nice. Always glad to see your photos of the light show. Went last night and it was so crowded the police closed many of the routes. 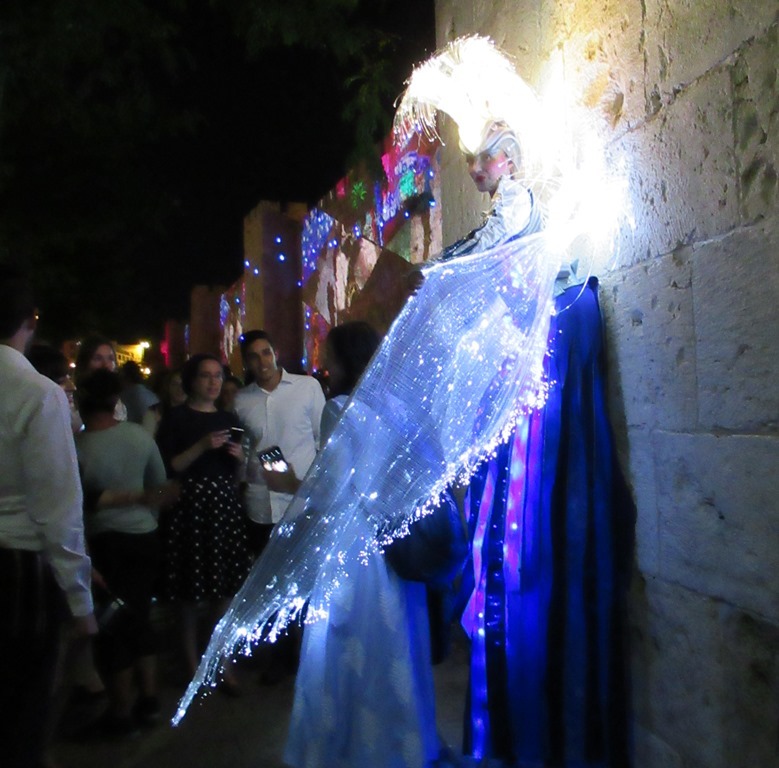 Just got to see the wall lit up as you videoed and on the way out a costumed person as a bird. We ended up on the rooftop of Mamilla hotel for drinks and a much better view of the light show with no crowds. I heard Mamilla was crowded too, from those who were turned away from Old City. Who would think too popular would be problem? 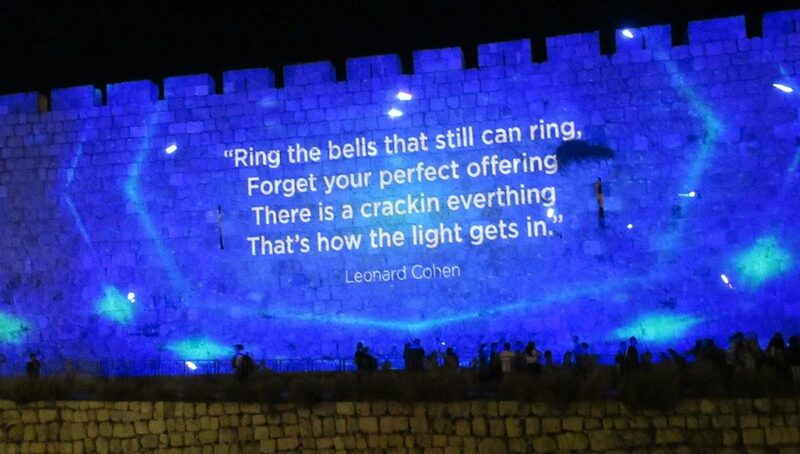 I do wish people used editors … as lovely as the lights look, there’s a typo in the Leonard Cohen quote. Phew, thought it was my editing error. My favorite was the recent Science and Technology mega event with typo “Internation” instead of International.